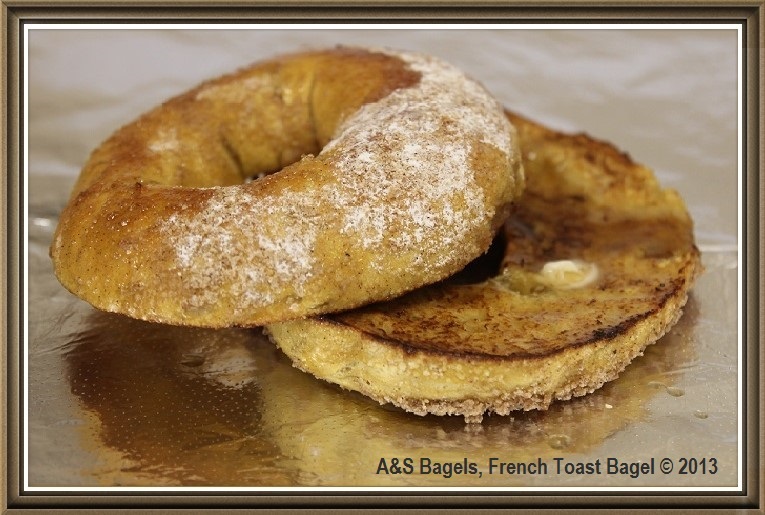 The A&S Bagels French Toast Bagel has been getting a lot of attention. 2. Fox 5's Good Day New York and Vanessa Alfano televised their morning show live from A&S Bagels. Vanessa Alfano, a Features Reporter for Fox 5 took a tour of our retail and baking operations and aired several segments live throughout one morning. In the first few segments, Vanessa Alfano interviewed Anthony Scolieri about A&S Bagels' history. While on air, she sampled our French Toast bagel with crumb topping topped with powdered sugar. A&S BAGELS CONTACT INFORMATION: A&S Bagels is a wholesaler and retailer of authentic New York Bagels. Your deli, bagel store, food distribution business can re-sell A&S Bagels. A&S Bagels sells our bagels in large quantities at reduced prices (wholesale pricing). If you are interested in purchasing bagels from A&S Bagels, please contact A&S Bagels at (516)326-9288.